Scythian Sets Pace for Argentina Cannabis Market Through Aphria Partnership and Exclusive Agreements With Country’s Largest Pediatric Hospital & Premier Research UniversityTORONTO, April 09, 2018 (GLOBE NEWSWIRE) — Scythian Biosciences Corp. (the “Company” or “Scythian”) (TSXV:SCYB) (Frankfurt:9SB) (OTC – Nasdaq Intl:SCCYF) is pleased to announce that Argentina-based ABP S.A. (“ABP”), a pharmaceutical import and distribution company that Scythian is in the process of acquiring, has received its license to import CBD oil into Argentina (the “License”). ABP had previously entered into an exclusive international supply agreement for Argentina (the “Supply Agreement”) with Aphria Inc. (“Aphria”), a prominent Canadian producer of medical cannabis, in anticipation of receiving the License. Under the terms of the Supply Agreement, Aphria will supply ABP with cannabis products for research and development purposes as well as for distribution to hospitals, retail pharmacies, and private health providers in Argentina’s public health system.“Scythian continues to raise the bar in the medical cannabis industry by joining forces with Aphria, a leading, world class cannabis cultivator and processor,” said Jonathan Gilbert, Scythian’s Chief Executive Officer. “The exclusive supply agreement will allow Argentinians access to some of the best that medical science and technology can offer, as both will be able to tap into Scythian’s leading-edge research into the benefits of medical cannabis.”ABP has recently entered into a cooperation agreement with the Dr. Juan P. Garrahan Pediatric Hospital, to conduct pioneering clinical studies investigating the use of cannabis in the treatment of children with epilepsy. As part of the agreement, ABP has been granted a permit from the Argentinian regulatory agency, ANMAT, to import Aphria’s medical cannabis oil. 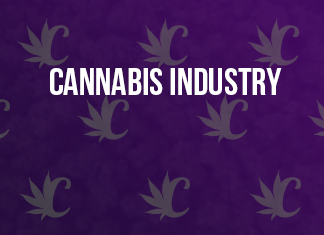 ABP has committed 2 years to cannabis R&D initiatives. Consistent with Scythian’s commitment to carry out research and development programs using medical cannabis in association with international universities and medical schools, ABP and the University of La Plata’s Medical School have reached an agreement to initiate research projects, medical education of pre- and post-graduate medical students and clinical trials involving the use of medical cannabis.“Scythian is proud to support such critical and innovative research into the promising role of medical cannabis in the treatment of children,” said Jonathan Gilbert, Scythian’s Chief Executive Officer. “Our association with the University of La Plata and its doctor training initiative will expand community access to safe and professionally-administered treatment options for those in need.”Scythian previously announced on March 12, 2018 that it had entered into a non-binding letter of intent with MMJ International Investments Inc. (“MMJ”) to acquire MMJ, the sole shareholder of ABP. A binding definitive agreement governing the terms of the acquisition was expected to be entered into by March 31, 2018. On March 29, 2018, Scythian announced an extension to complete and sign a definitive agreement to April 30, 2018. If the acquisition of MMJ is completed, ABP will become a subsidiary of the Company. The acquisition of MMJ is subject to approval from the TSX Venture Exchange.About Scythian Biosciences Corp.Scythian is a research and development company committed to advancing prevention and treatment efforts for concussion and traumatic brain injury with its proprietary cannabinoid-based combination drug therapy.Scythian’s mission is to be the first accepted drug regimen for the treatment of concussion. Scythian is partnered with the University of Miami and its neuroscientific team to conduct pre-clinical and clinical trials of its drug regimen. Through the Company’s collaborative efforts with the university, Scythian has access to the university’s extensive network of experts in the fields of traumatic brain injury and concussion. These connections provide Scythian with the ability to conduct its clinical studies at world-class facilities by widely recognized medical professionals. Scythian has initiated its international expansion by launching additional cannabis-related activities across the globe. These significant endeavours complement the Company’s research and development efforts to enhance the many medical applications of cannabis.Scythian is evaluating several strategic initiatives and pursuing partnerships with local cultivators, pharmaceutical import and distribution entities and universities in North America, South America, the Caribbean and beyond. This comprehensive approach positions Scythian as a potential global frontrunner in the research and development of medical cannabis.CONTACT INFORMATIONScythian Biosciences Corp.
nic.johnson@russopartnersllc.comNeither TSX Venture Exchange nor its Regulation Services Provider (as that term is defined in policies of the TSX Venture Exchange) accepts responsibility for the adequacy or accuracy of this release.Cautionary StatementsThis press release contains certain forward-looking information and statements (“forward-looking information”) within the meaning of applicable Canadian securities legislation, that are not based on historical fact, including without limitation, statements containing the words “believes”, “anticipates”, “plans”, “intends”, “will”, “should”, “expects”, “continue”, “estimate”, “forecasts” and other similar expressions. Such forward-looking information includes information relating to the proposed acquisition of MMJ and ABP, the intended uses of licensed medical cannabis by ABP in Argentina, and the benefits of combining Aphria’s cannabis products with Scythian’s medical cannabis research.Readers are cautioned to not place undue reliance on forward-looking information. Forward-looking information is subject to a number of risks and uncertainties that may cause actual results or events to differ materially from those contemplated in the forward-looking information, and even if such actual results or events are realized or substantially realized, there can be no assurance that they will have the expected consequences to, or effects on the Company. Such risks and uncertainties include, among other things, the risk that: that the Company may not proceed with the proposed acquisition of MMJ, and therefore, the acquisition of ABP; that the ultimate terms of the proposed acquisition of MMJ and ABP will differ from those that are currently contemplated; that a regulatory approval that may be required for the proposed acquisition is not obtained or is obtained subject to conditions that are not anticipated; that a condition to the completion of the acquisition of MMJ may not be satisfied; that the businesses of MMJ and ABP are not integrated successfully; or that Aphria is unable to supply ABP with medical cannabis products in sufficient quality or quantity in accordance with the terms of the Supply Agreement. Although the Company has attempted to identify important factors that could cause actual results or events to differ materially from those contained in the forward-looking information, there can be other factors that cause results or events to not be as anticipated, estimated or intended, including, but not limited to: the Company’s ability to comply with all applicable governmental regulations in a highly regulated business; investing in target companies or projects which have limited or no operating history and are engaged in activities currently considered illegal under US federal laws; changes in laws; limited operating history; reliance on management; requirements for additional financing; competition; inconsistent public opinion and perception regarding the medical-use and adult-use marijuana industry and; regulatory or political change. Additional risk factors can also be found in the Company’s annual information form filed on SEDAR and available at www.sedar.com.The forward-looking information contained in this press release are expressly qualified by this cautionary statement and are made as of the date hereof. The Company disclaims any intention and has no obligation or responsibility, except as required by law, to update or revise any forward-looking information, whether as a result of new information, future events or otherwise. Previous articleScythian Biosciences Corp. Announces Progression of Global Expansion Efforts with Letter of Intent to Acquire MMJ Colombia Partners Inc.